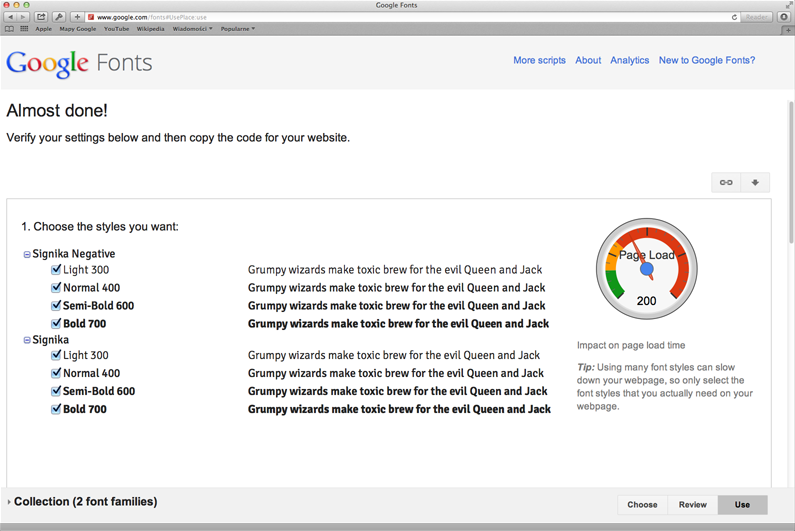 The Signika type-family, both Normal and Negative versions, was just published on Google WebFonts. Now you can download it for free from their website. The character set available there covers the basic Latin encoding and some additional glyphs to allow support for Polish and Czech. Soon it will be manually hinted and separate small-caps fonts will be added. Here, direct links to Signika and Signika Negative. All fonts were published under the OFL license which allows for both personal and commercial use of the fonts free of charge. So feel free to use it and please share your projects with me, I would be happy to see it in use! The second edition of TypeTalks symposium is over. I must admit that I was a bit scared that something will go wrong, and it will be just one big disaster… but it was not! Everything went according to the plan, without any serious hiccups. For that I want to send my special thanks to the great people from behind the scenes: to prof. Krzysztof Kochnowicz, my friends from the University of Arts in Poznań (Viktoriya Gadomska-Grabowska, Justyna Brzostowska, Ania Kruk and Marek Glinkowski) and of course to the ladies from the Foundation of the Academy of Fine Arts in Poznań and people from the Meskalina club. These were crazy and exhausting days, but it was really worth it! The fact that so many people in Poland (we had over 100 participants) are interested in type design was a nice surprise for me. I had really great time meeting, listening, talking and arguing with some of you guys. Big thanks to the lecturers for their presentations, and to you all for coming and creating such a great atmosphere. Hope to see you next time! I spent the last week on a type design workshop led by Lucas de Groot, and it was quite a week! 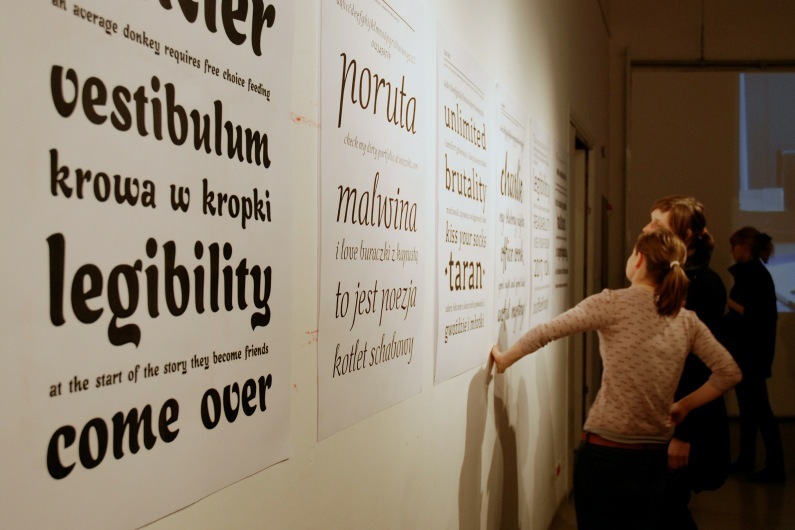 The workshop was organized by the Sign and Typography Studio and took place on 21–25 March, at the University of Arts in Poznań. 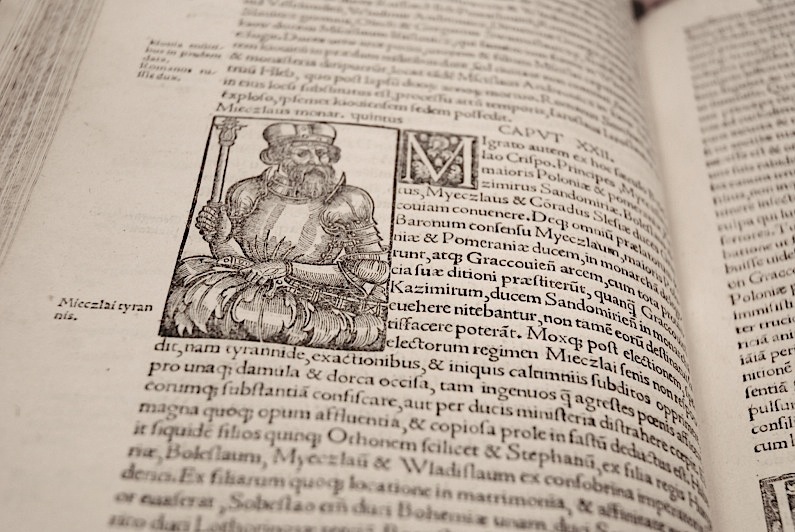 The main subject was the tool-based approach to typeface design. 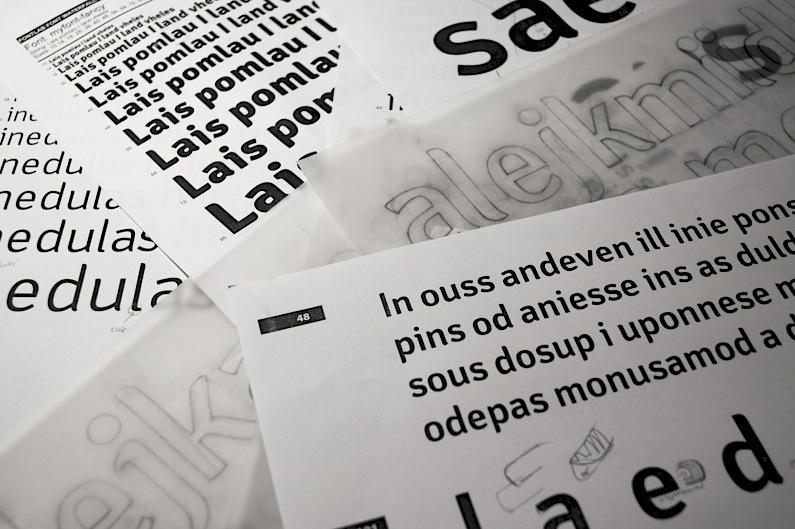 During just four days each of us was supposed to create a basic character set for a new typeface. I must admit, that I was a bit sceptic about it (due to a large number of participants) but in the end everyone finished in time. Lucas proved to be a very good teacher and had a very well planned workflow. Everything was clear and went smoothly. 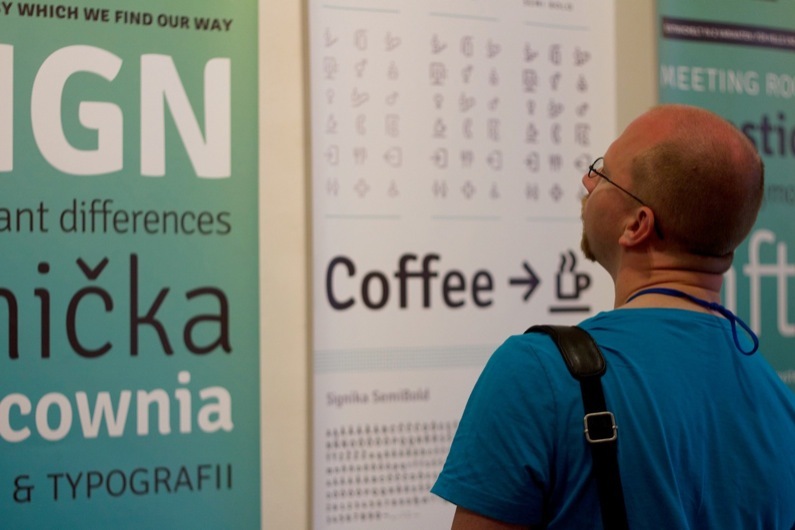 The workshop was ended up by an exhibition of all typefaces designed during those few days. It was impressive to see the amount of work we managed to do in such a short time. However, I do not think such work pace could be maintained for long. All five days were really exhausting. My mind was overwhelmed by the amount of new information and I am sure I did not properly process more than a half of it. Therefore I was really impressed by Lucas’s ability to stay focused and clear-headed for the entire duration of the workshop. I would like to know how he does it! 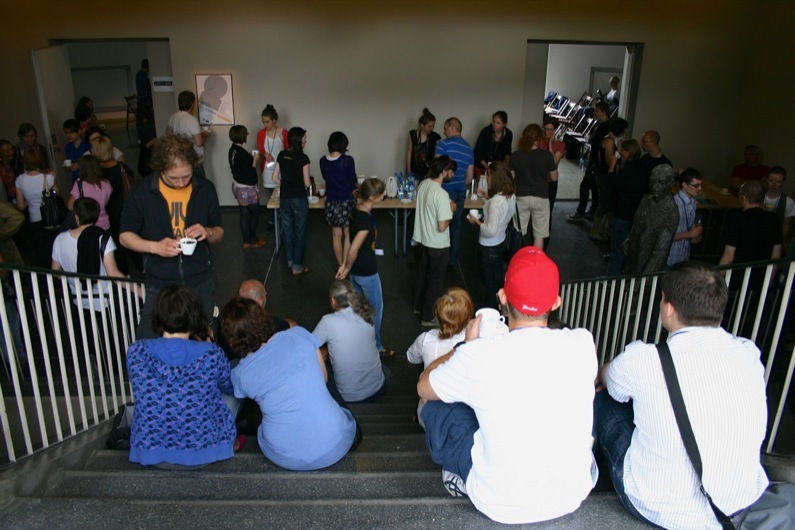 The two-day symposium will take place at the University of Arts in Poznań (Poland) on 18–19 June 2011. The theme is type and typography; this is not going to change any time soon. This year we aim to accentuate the social aspect. 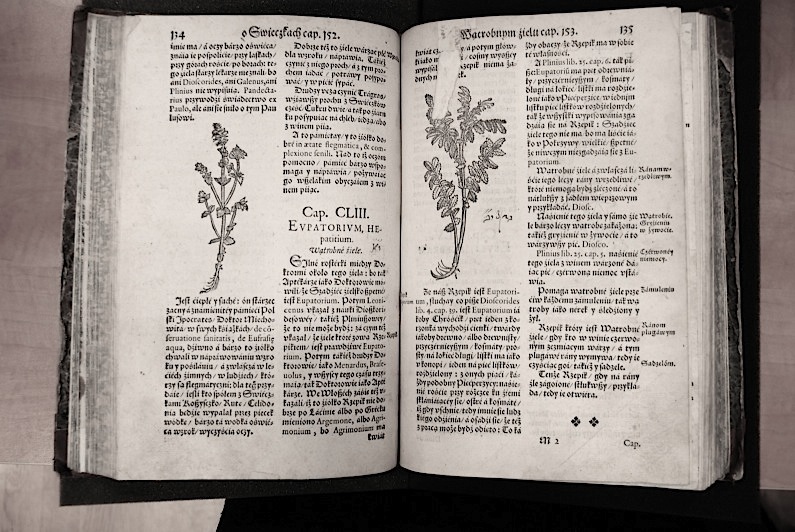 After all, the word symposium refers to drinking parties or convivial discussions held in ancient Greece. The two days will include exhibitions, an evening full of short type presentations (aka TypeShorts), a party, and of course a day full of excellent lectures. The Poznań TypeTalks are organized in collaboration with the University of Arts in Poznań and Foundation of the Academy of Fine Arts in Poznań. Symposium program and other information can be found on the TypeTalks website and facebook. Teaser for the TypeTalks 2011 symposium was designed by Vít Zemčík . Twelve days (14–25 April 2010) of great time around Germany. 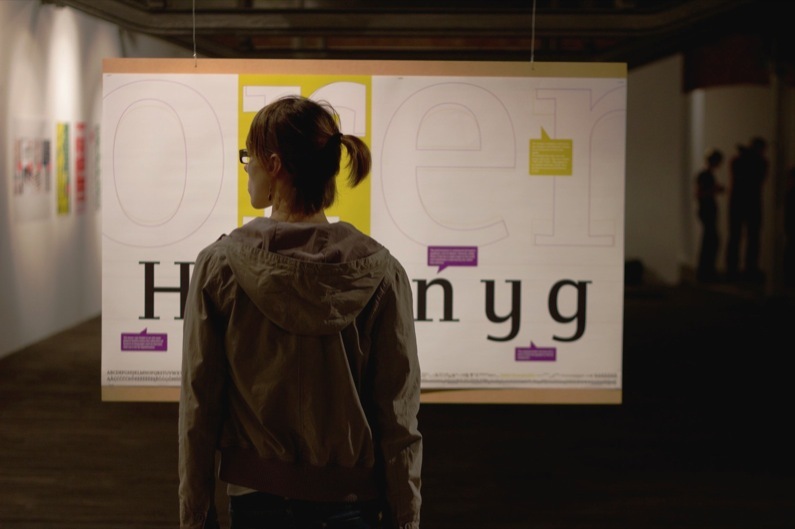 The trip organized by our Sign and Typography Studio was a short but very intensive look into the German typographic world. 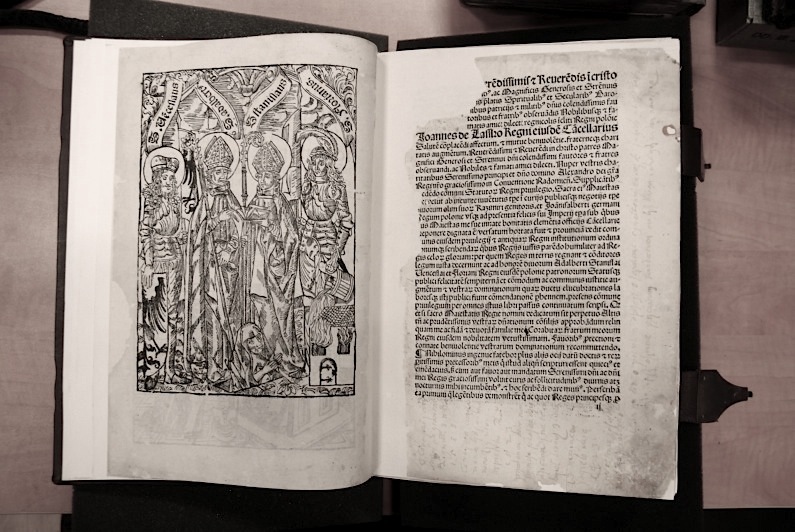 We visited, among the others, the Gutenberg museum in Mainz, the Linotype headquarters in Bad Homburg, Museum of Printing Arts Leipzig, and numerous graphic and type design studios. 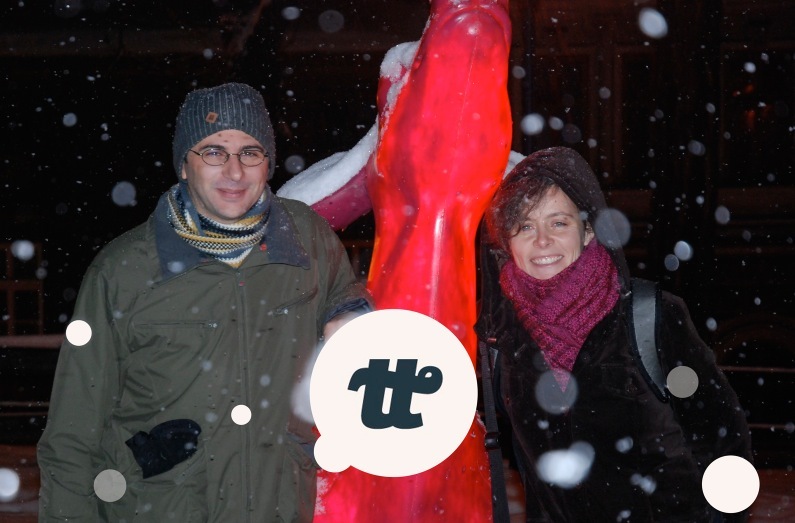 More photos and full list of the places we visied can be found on the TypoTour blog. A quick look at my first serious type design work – Signika. It is planed to be a playful typeface designated for pedestrian signage, with several weights, set of pictograms and arrows. The idea for this project came out of a certain need of fixing the reality I developed in myself during my latest research on Polish wayfinding systems. 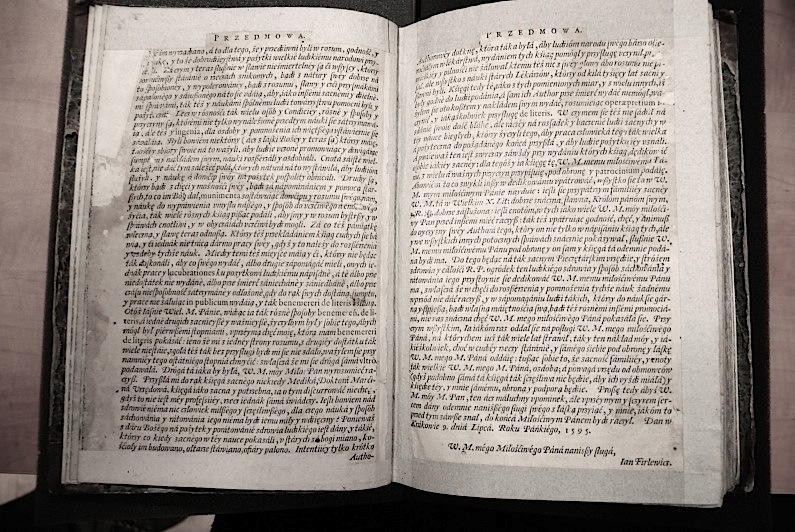 During my three-day visit in Cieszyn I had the opportunity to look into the Cieszyn Library. This very inconspicuous building keeps inside a valuable collection of old books and manuscripts. Thanks to an advance appointment, we could glance through few of the most precious pieces under the watchful eye of Mrs. Anna Rusnok. 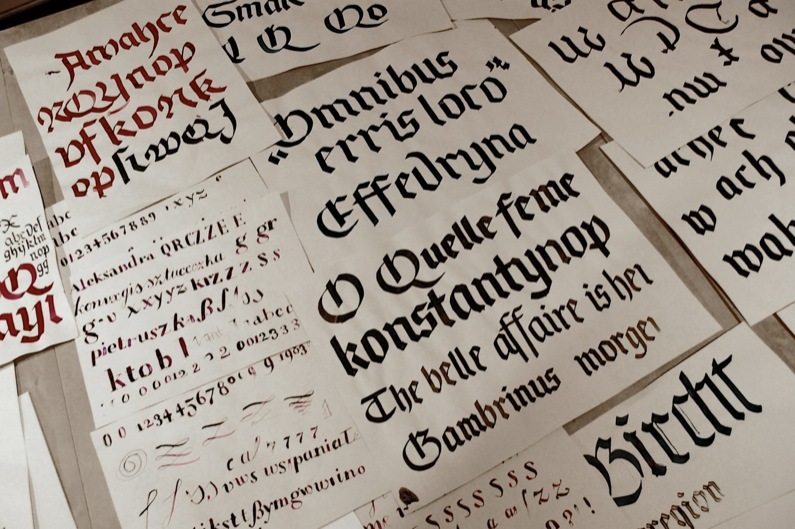 On 11–13 February I had the opportunity to visit Silesian Castle of Art and Enterprise in Cieszyn and have a brief look at the typography workshop “Tailored typeface design” lead by Veronika Burian and José Scaglione Type Together. 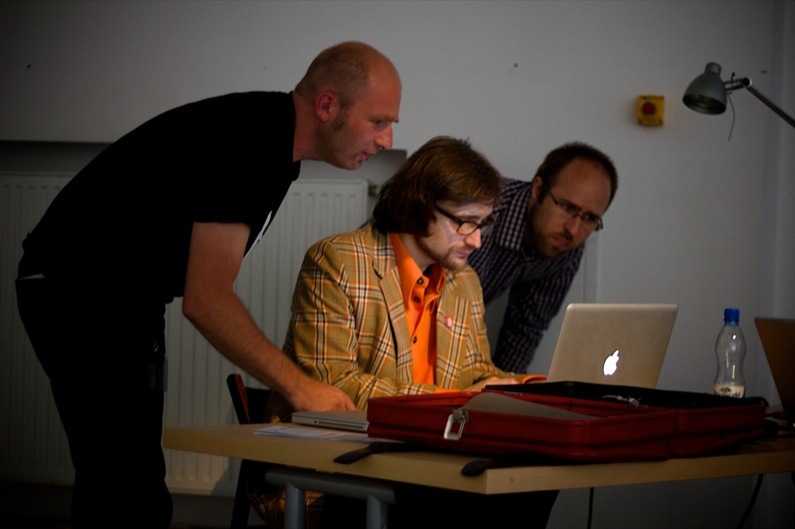 Whole workshop lasted from 8th until 12th February, the theme: creating corporate typefaces. In the beginning of the workshop many of the participants had a very little knowledge about typeface design. In just five days they have made great strides, gaining considerable theoretical knowledge and widening their practical skills. I remain impressed with what they managed to accomplish in such a short time. Both designers patiently lead the participants through the design process, drawing their attention to various important issues by means of constructive comments and factual analysis of design problems. Summary of the workshop was an exhibition of projects made during the workshop and Type Together exhibition entitled “Designing typefaces- from concept to reader”. The exhibition was conceived as an educational project, case studies bearing numerous comments and guidance to designers. 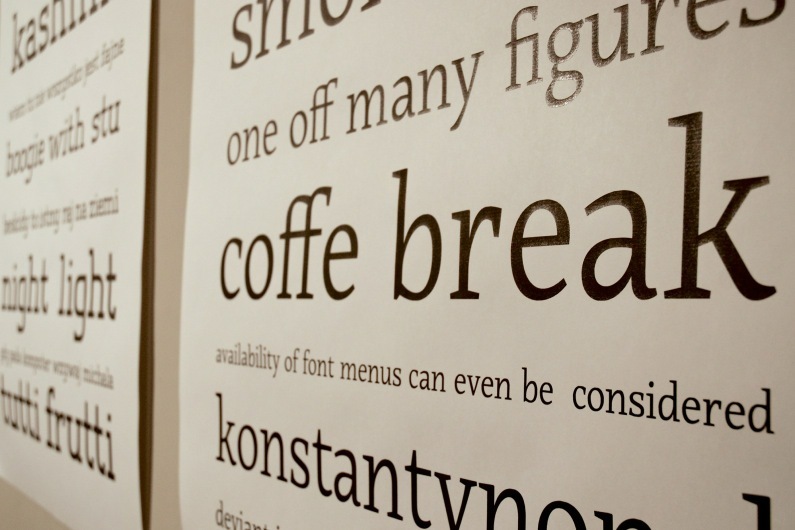 It described the development process of several of their type families; from the very first concept sketches up to their use in practice. At the exhibition opening, Veronika and José gave a lecture about their adventures in type design and activities of their foundry. All visitors (from Poland, Czech Republic, Germany, Austria and Argentina) continued to talk about typography and related topics during party until late night hours. See more pictures from the workshop and exhibition on flickr. It is always nice to see your work as a part of a larger presentation, especially when it is well received. 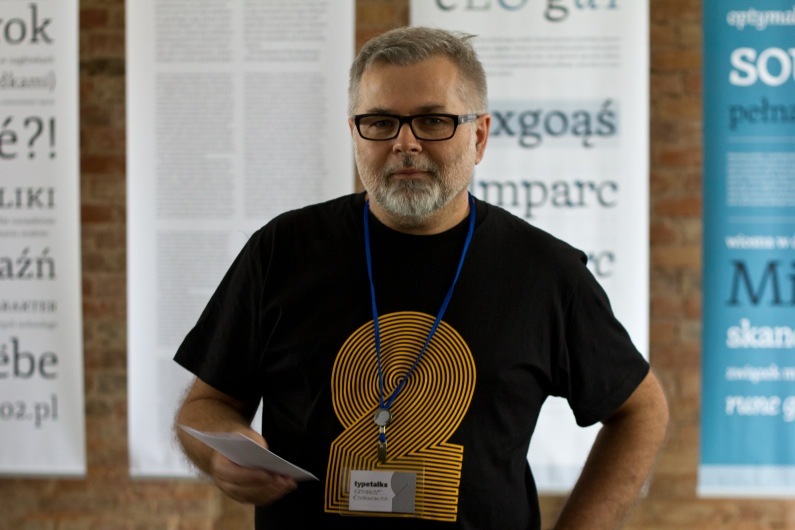 I had such opportunity two weeks ago at KrakTypo during a lecture of my tutor, professor Krzysztof Kochnowicz which included, among others, my projects as examples of Sign and Typography Studio students’ works. 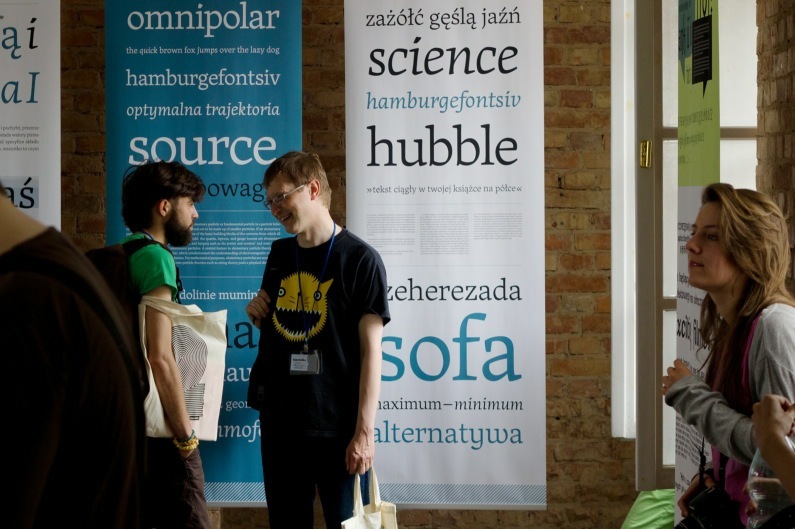 KrakTypo 2009 was the second of Cracow typography meetings and happened between 8–11 November. The meetings took place in two clubs and the participants could attend interesting lectures, workshops; calligraphy, linocut, and printing; visit exhibition about “History of printing” in MIMK museum and exchange opinions on various typographic subjects. All of that in friendly and unique atmosphere of Cracow Jewish neighbourhood. Have a look at some of the pictures by Wojtek Zając on flickr.